Product #6661 | SKU 546B | 0.0 (no ratings yet) Thanks for your rating! 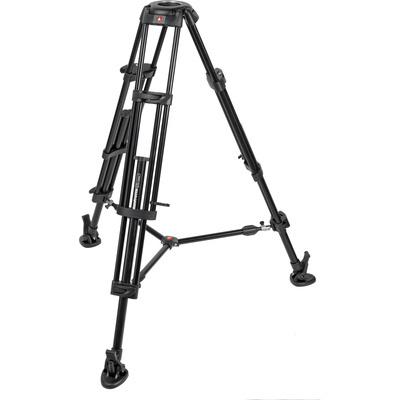 The Manfrotto 546B Pro Video Tripod with Mid-Level Spreader is an aluminium two-stage tripod that combines stability and strength with affordability. Reaching a maximum height of 154 cm, the 546B is capable of supporting up to 20 kg. Its spiked feet come with rubber overshoes, allowing setups on both smooth floors and uneven surfaces, while a mid-level telescopic spreader keeps the legs exactly where you need them.